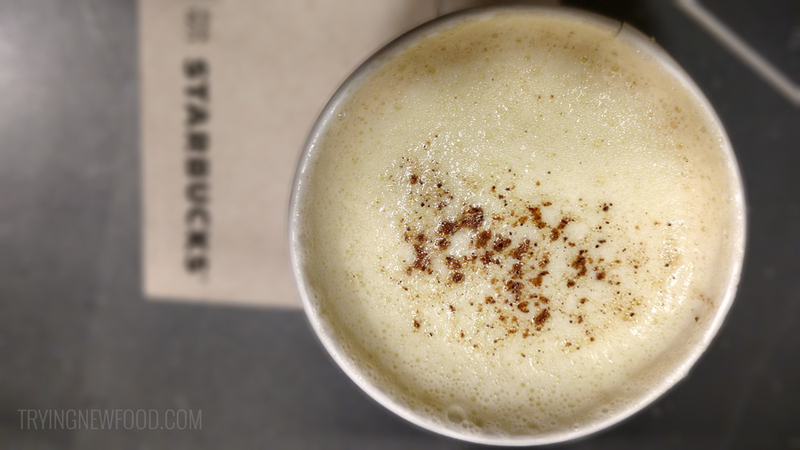 Since the main checkout lines were ridiculously long at Target, we ended up just getting the Starbucks Eggnog Latte and nothing else. And let me tell ya — not a fan of this latte. I just read online that this drink has a huge fan following, so maybe the barista messed up while making it. All it tasted like to me (and my husband) was spiced burnt milk. The only pro to this drink was that it smelled amazing. Very festive! The Tall 12 oz. size is 360 calories. More details are on their site here. We will be back to try the Starbucks Spiced Sweet Cream Nariño 70 Cold Brew. Even though the name is a bit wordy.